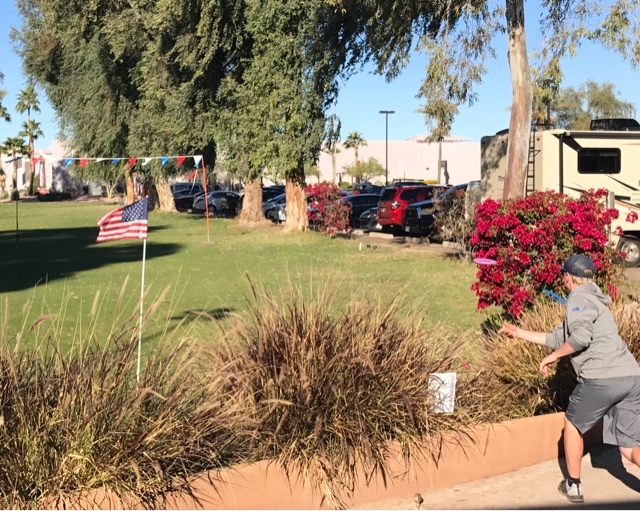 Today (Thursday) was a break from other things and have a treat to get to see some very good disc golf players attending the Disc Golf Pro Tour in the Phoenix area. 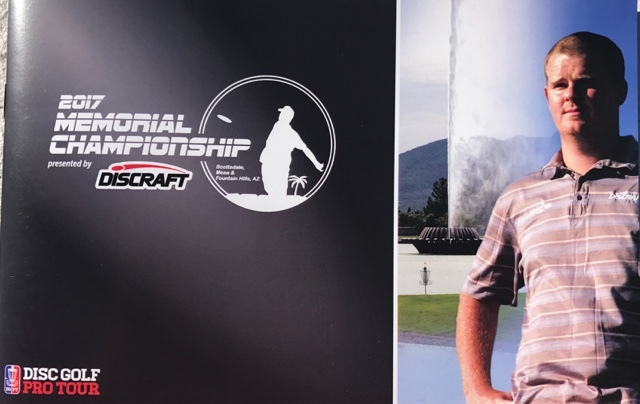 Today, the play was at the Fiesta Lakes Golf Club in Mesa, AZ. The first hole was short with a built physical obstacle to make the hole more interesting. The challenge is the poles and flags strung across the fairway. You have to throw between the poles and under the flags. 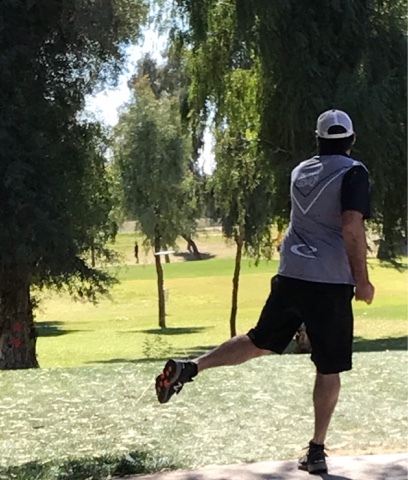 If you look close you can see the disc in mid flight. 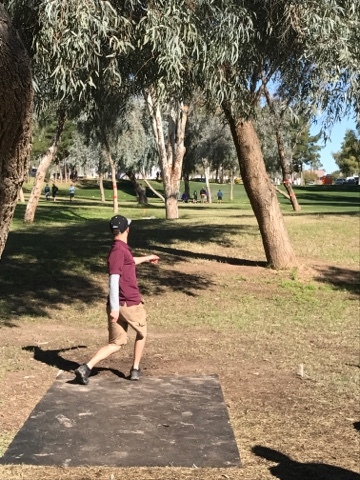 My interest was on how the pros throw the discs. Here I will show a series of body positions with none the same. There were a number of holes that the discs needed to get through to reach the basket. 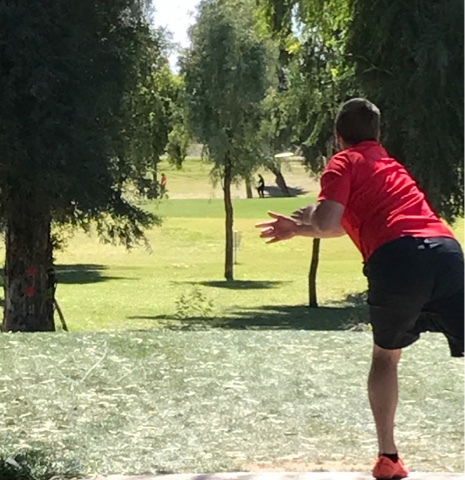 This disc thrower above is David Feldberg. 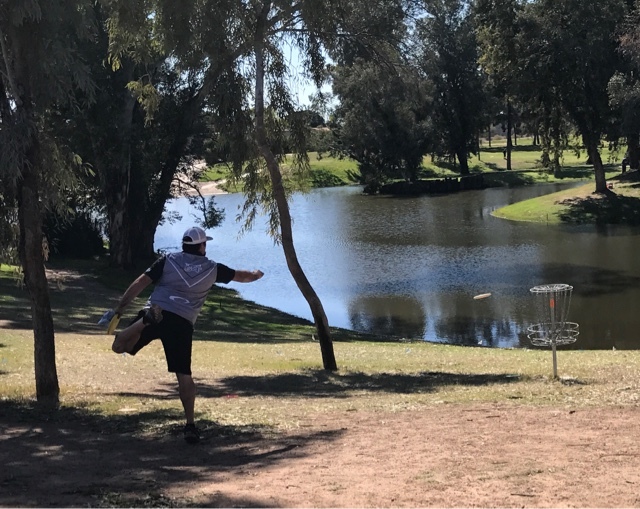 He is the pro I followed last year when I went to the pro disc golf tournament being played outside of Los Angles. 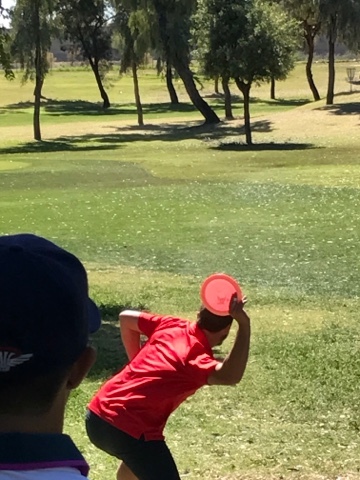 I don't know the disc thrower above but he had a wonderful back 9 game. Above - look at how he holds the disc. This is of special interest as I throw my drivers forward hand like him but I hold my disc totally different. Since I can't throw as far as these pros I'm going to try some new ways of holding the discs when throwing. 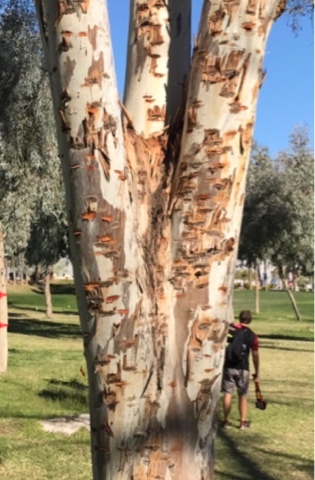 This tree sacrifices its bark to hard hits from discs. Discs thrown (drivers) by pros range from 60 mph to 100 mph. You don't want to get hit by one or try to catch it. Ha yes, they do make great putts too. The back 9 did have a number of water hazards. 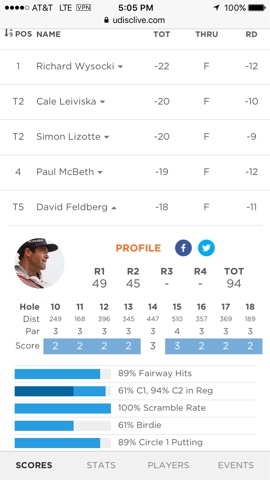 Above are David's stats as he is tied for 5 the place in current competition. Now I want to get out and throw discs again after my backcountry hike.